The United States imprisons far more people, total and per capita, and at a higher rate than any other country in the world. Among the more than 1.5 million Americans currently incarcerated, minorities and the poor are disproportionately represented. What’s more, they tend to come from just a few of the most disadvantaged neighborhoods in the country. While the political costs of this phenomenon remain poorly understood, it’s become increasingly clear that the effects of this mass incarceration are much more pervasive than previously thought, extending beyond those imprisoned to the neighbors, family, and friends left behind. 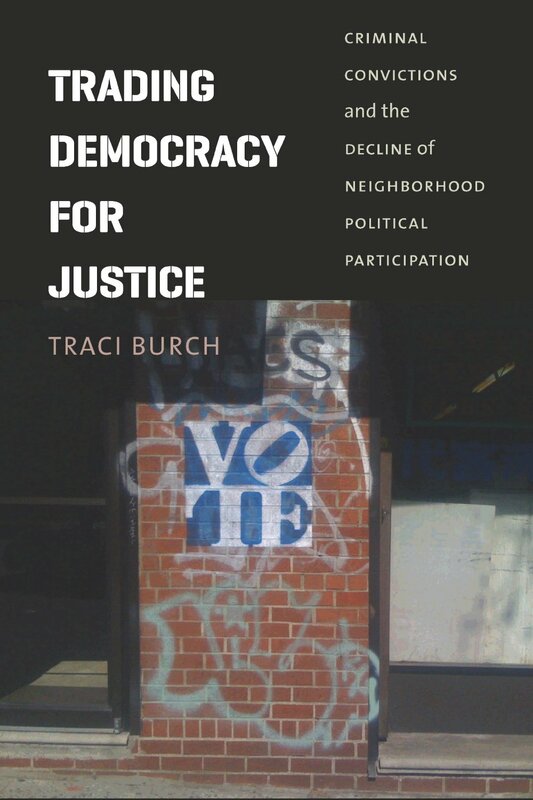 The first book to demonstrate the ways in which the institutional effects of imprisonment undermine already disadvantaged communities, Trading Democracy for Justice speaks to issues at the heart of democracy.